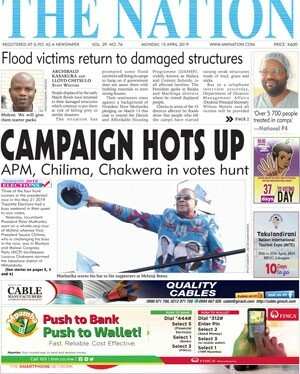 In the corridors of Capital Hill, the seat of government in Lilongwe, decision-makers envisioned that no more Malawian girl would be getting married before her 18th birthday. In February 2017, Parliament amended Section 22 (7) of the Constitution to outlaw marriages involving a boy or girl aged below 18. Both legislators and policymakers expected the laws to be fail-safe, but girls keep marrying before the legal marriageable age. In Khwakwazi Village on the western edge of Nyika National Park in Rumphi, Nyagondwe struggles to safeguard her 14-year-old daughter from marrying an elderly man who comes to sell merchandise at Lura Market every Monday. The girl had just experienced her first menstruation when she started talking about her intention to marry the mobile businessperson, Nyagondwe recalls. “I don’t know where they met. I was very surprised when she vanished from home with all her belongings. A day later, some people came to tell me to stop looking for her because she had married some man who wanted us to name the bride price in line with our custom,” she says. Nyagondwe said she cunningly engaged the visitors to withdraw her daughter from marriage, but the girl keeps escaping from home. “I am told the man rents a house for her around the trading centre,” says the concerned mother. Child marriages like these remain widespread in the country. According to the Malawi Demographic and Health Survey, nearly half of women—about 47 percent—marry before the marriageable age. In fact, Nyagondwe and her kinsmen are grappling with a familiar genesis of child marriages in her Tumbuka-speaking community. The process takes a different shape in other cultures, but the consequences are the same: most girls quit school, get pregnant before their bodies are ready for childbirth and land in deeper poverty than the situation they are fleeing from. To end child marriages, many non-governmental organisations are increasingly working with chiefs to withdraw under-age girls from marriages, a path perfectly personified by Senior Chief Kachindamoto of Dedza who has terminated over 1 000 child marriages in her area. She finds the constitutional amendment “progressive” though she wishes the minimum marriageable age was 21. Kachindamoto is among several traditional leaders that have adopted bylaws which penalise anyone involved in these illegal marriages with costly implications on minors. The community laws supplement the amendment of the Constitution, which once allowed girls as young as 15 to marry with parental consent. But why do girls keep marrying young? We put this question to Jenifer Mkandawire, the executive director of the Foundation for Children’s Rights which is working with traditional leaders to end child marriages in Mzimba. “We cannot blame it on poor enforcement of the law. There is enough evidence that the law is being enforced. Whenever a case of child marriage has been reported, the law enforcement agencies act accordingly,” she says. Mkandawire ranks rural areas as the most affected because they are hard-to-reach and the flow of information is mostly hampered. “There are also issues of lack of resources to prosecute cases of child marriages due to the absence of courts and police establishments in hard-to-reach areas,” she says. For Eye of the Child executive director Maxwell Matewere, the situation has a lot to do with the delays to repeal Section 22(7) of the Constitution. He says: “The law, as it was before Parliament weighted in, shaped our behaviours and practice for many years. The inconsistencies in the legal framework on the age at which one could get married assured those involved of freedom even when they broke the law,” he says. The amendment of Section 22(7) of the Constitution cleared the remaining pitfall in the laws governing marriage and further aligned the legal framework with Marriage, Divorce and Family Relations Act which was passed in 2015 and raised the minimum marriage age to 18. For two years, the neglected section, which allowed underage girls to marry with parental consent, impinged enforcement of the Marriage, Divorce and Family Relations Act enacted in 2015. It also downplayed sections of the penal code that outlaw sexual relationships with girls under 17. Besides the legal and policy disparities, some girls end up in marriage due to widespread poverty, indifference and cultural practices that condone marrying off girls. 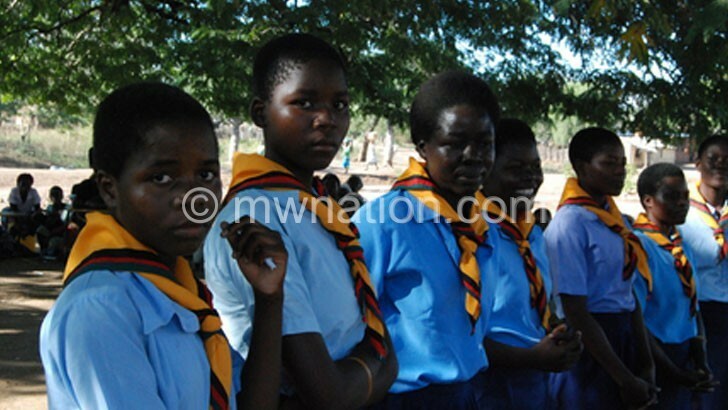 Matewere’s organisation recently rescued four girls aged between 14 and 15 from marriage. He finds it “naïve” for those campaigning to end child marriages to ignore the socio-cultural context within which illegality and the proposed reforms operate. He states: “Child marriages are culturally accepted and deeply entrenched in the country. This feature is part of a fellowship on ending child marriages in Southern Africa by Panos Institute Southern Africa.